In various parts of Chester County, residents are being targeted by bogus phone calls and threatened with arrest by deputy sheriffs on a bench warrant for failing to report for jury service in Chester County Court. 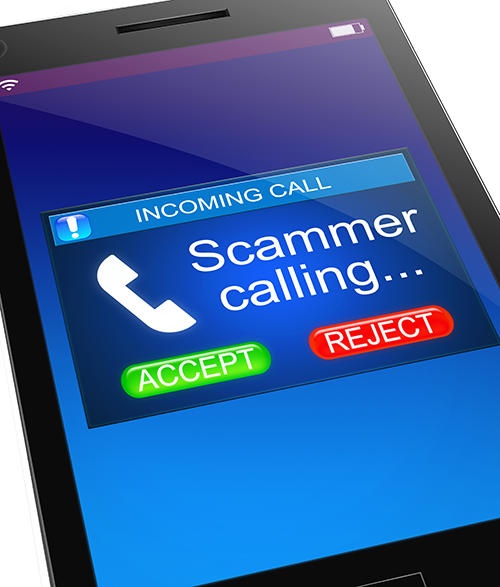 In some reported cases, the bogus caller identifies themself using the name of an actual Chester County deputy sheriff, and the caller ID is being spoofed to make it appear as if the call is actually being made from a Sheriff’s Office number. In other cases, the bogus caller is identifying themselves as a member of a “Warrant Department” and uses ranks and titles that seem to be legitimate. In the calls, threats are made that a bench warrant will be served unless the person answering the phone goes to a convenience store or pharmacy and purchases a Green Dot MoneyPak card in amounts ranging from $300 to $1,500, and then calls the caller back with the MoneyPak card numbers. Sometimes the caller tries to coerce those called into providing confidential personal or financial data, potentially leading to identity theft and fraud. The Chester County Court does not require anyone to provide sensitive information in a telephone call, nor to purchase any kind of monetary device to avoid arrest. Most contact between the court and a prospective juror will occur through the U.S. Mail, and any phone contact by real court officials will not include requests for Social Security numbers, credit card numbers, or any other sensitive information. Persons receiving such a telephone call should not provide any requested information, and instead should hang up and contact their local police department. They can also notify the Jury Services Office 610-344-6174 or the Chester County Sheriff’s Office at 610-344-6850. NOTE: The Green Dot MoneyPak Website (https://www.moneypak.com/) and (https://www.moneypak.com/ProtectYourMoney.aspx) contains good information about how to avoid fraudulent use of its MoneyPak cards.